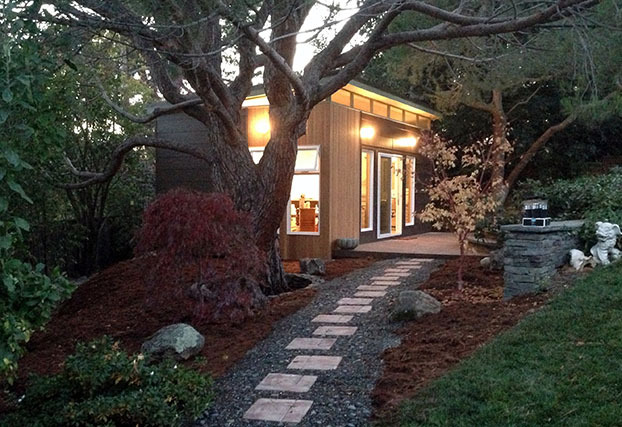 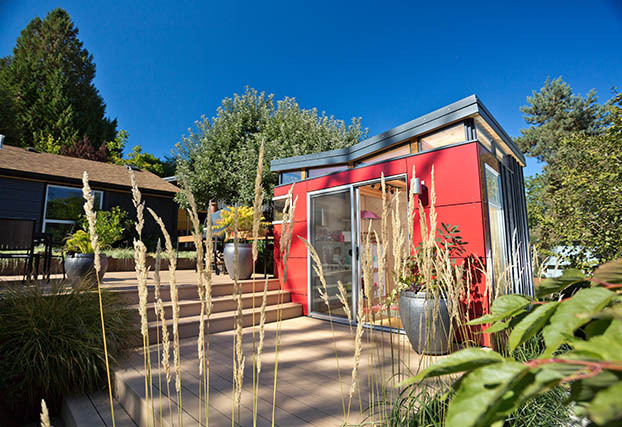 Whether you're looking for an art studio, home office or backyard escape, Modern-Shed offers sleek, quality structures that are designed to meet your needs. 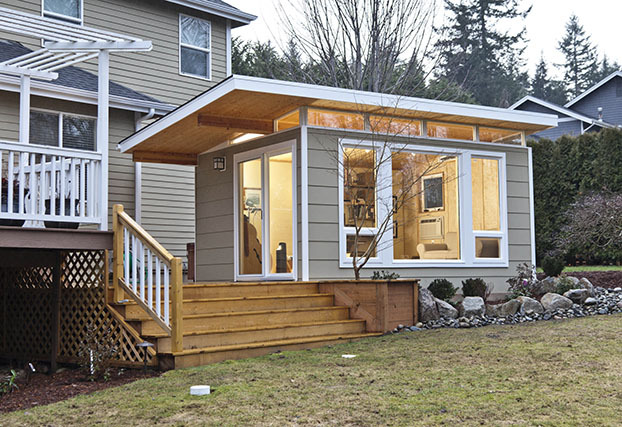 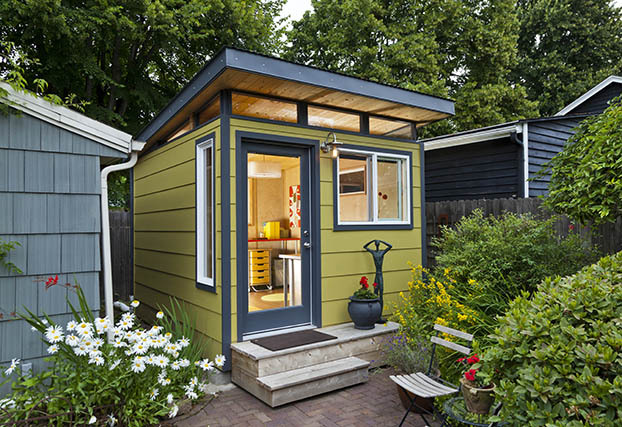 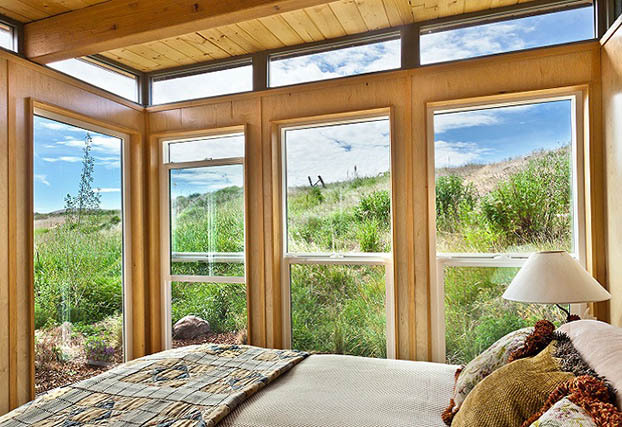 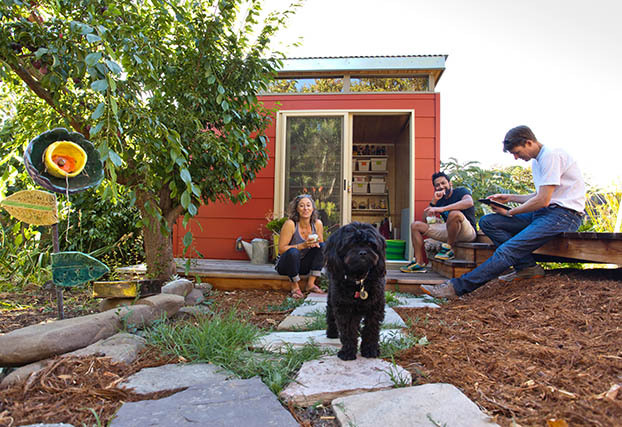 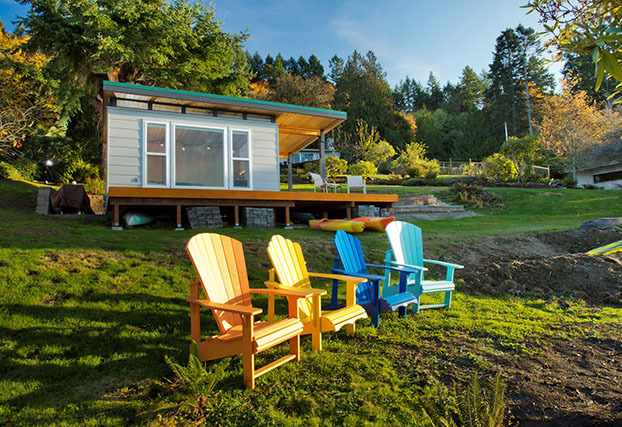 Ranging from 64 to 640 square feet and beyond, Modern-Sheds have been used as man caves and vacation rental cottages, she sheds and accessory dwelling units. 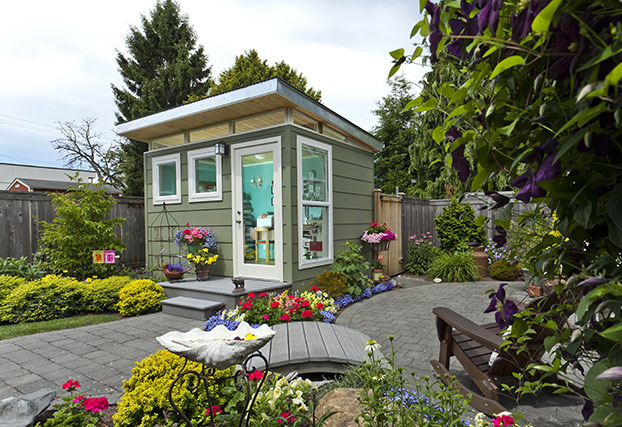 To find a Modern-Shed Dealer near you. 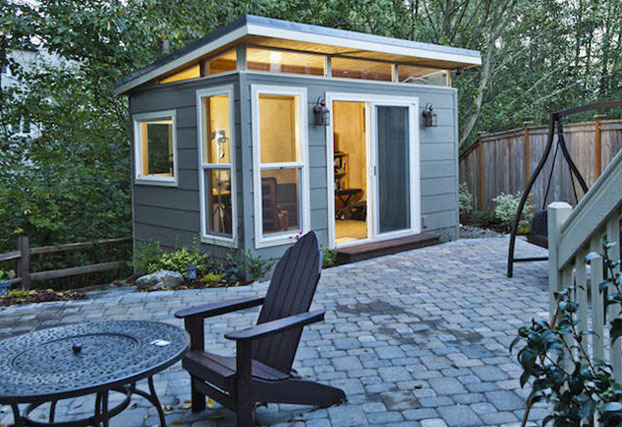 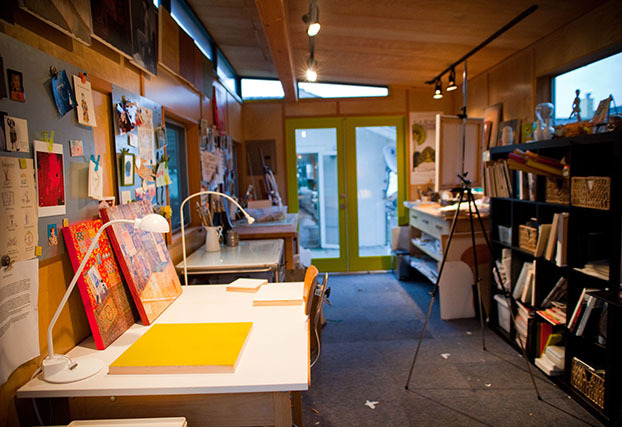 A 10' by 12' Modern-Shed home office in Berkeley, Calif.
Modern-Shed writers' retreat on Lopez Island, Wash.
10' by 20' Modern-Shed art studio on Vashon Island, Wash.
A 10 by 12' Modern-Shed home office in Portland, Ore. 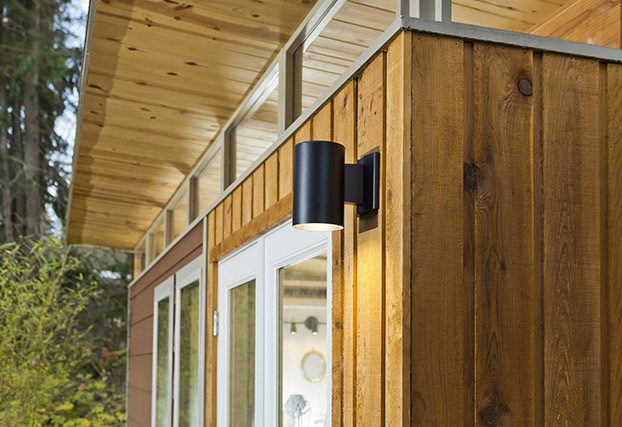 Being green for us is not an abstract term but rather a natural way of working that carries through from manufacturing to the end use of each structure to the way we operate our corporate office.